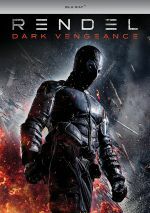 Masked vigilante Rendel seeks vengeance and fights against a huge criminal organization. Though American characters dominate worldwide, other countries offer their own superheroes. 2017’s Rendel delivers a Finnish take on the genre. Huge conglomerate VALA Chemical forces a new vaccine onto the market, one they actively test on young children. A group with a criminal underground involved, VALA kills, beats or threatens all opposition to their plans. Into this setting steps a masked vigilante named Rendel (Kris Gummerus). He battles against VALA’s plans and finds himself opposed by their thugs at every step. Or something like that. Whatever charms one may find in Rendel, a concise plot doesn’t become part of the equation. Instead, Rendel delivers a rambling, mostly incoherent mess. At its heart, we find a basic single-minded quest for vengeance, but the movie offers so little narrative clarity that it becomes a chore to watch. Though Rendel boasts credits for three separate screenwriters, I can’t help but wonder if they did anything more than create random “plot snippets”. The movie plays as if all the writers operated separately and created nothing more than tidbits vaguely linked to a theme. However the writers composed this mess, they failed to find a quality way to connect various dots. Story points flit all over the place with little sense of clarity, as characters and themes come and go with minor logic at best. If the film showed some signs of inspiration or inventiveness, these coherence issues might matter less. However, Rendel suffers from an extreme lack of creative energy. Really, Rendel feels like little more than a melange of existing elements. You’ll find a whole lot of Batman here and can see inspiration from plenty of other “lone crusader” roles as well. And by “inspiration”, I mean that Rendel rips off these sources. The film does nothing original, as its plot, characters and themes all seem stale and trite. A “crowdsourced” effort shot on a low budget, Rendel offers a decent-looking effort, but I can’t claim it shows much talent behind or in front of the camera. There’s a certain stiffness on display here that renders the final product clumsy and uninspired. It doesn’t help that the creators wield certain techniques with a heavy brush. I get the impression director Jesse Haaja attended one day of film school: the class where they taught Dutch angles, as that overused form of shot abounds here. Honestly, I really wanted to like Rendel, as I like superhero films and hoped that a Finnish take on the genre would give us something fresh. Instead, Rendel winds up as a tired rehash without much quality or inspiration behind it. Rendel appears in an aspect ratio of approximately 2.40:1 on this Blu-ray Disc. This became a mostly appealing transfer. Sharpness satisfied much of the time. A few shots seemed a bit soft, but not to a substantial degree, so most of the movie looked fairly accurate and well-defined. No shimmering or jaggies occurred. I also witnessed no edge haloes or print flaws. Apparently Hollywood Standard Orange and Teal is Finnish Standard Orange and Teal too, as those cliché tones dominated the film’s palette. This depressed me, but at least the transfer replicated the hues in an appropriate manner, and it threw in some reds at times for good measure. Blacks seemed deep and tight, while low-light shots demonstrated reasonable clarity, though a few seemed a bit dim. Overall, the image was pleasing. As for the film’s DTS-HD MA 5.1 soundtrack, it worked acceptably well for the material, though I wouldn’t call this a great soundfield. While the mix came to life during the movie’s action scenes, it lacked the smoothness and specificity I expect. Given the film’s low-budget origins, though, I can’t claim this surprised me. The audio offered generally good stereo music and used effects to broaden horizons in a reasonable manner, but it failed to demonstrate a particularly well-integrated soundscape. Though the material added breadth, it didn’t come across with a lot of transparency. Audio quality seemed fine, with music that appeared lively and full. Despite some iffy dubbing at times, speech remained concise and without obvious flaws. Effects offered nice range and provided clear, vivid elements. All of this seemed good enough for a “B”. 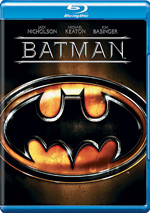 Note that the Blu-ray also included a DTS-HD MA 5.1 English version of the soundtrack. I didn’t screen it because I don’t watch dubbed movies if I can avoid it, but I wanted to mention that it appeared here. A handful of extras fill out the disc, and these begin with The Making of Rendel. A 15–part show, it spans 26 minutes, 16 seconds and includes notes from creator/director Jesse Haaja, communication and marketing manager Jenni Jantunen and financier Timo Lappi among unnamed others. “Making” looks at the project’s origins and development, influences, characters and story, costumes, and other production elements. Most of the information shows up in Chapter One, as that’s where Haaja covers the basics. A few other chapters also provide additional remarks, but most of the footage across “Making” shows glimpses of the shoot. These tend to be too short to matter much, so “Making” ends up as a passable but erratic overview. A three-minute, 39-second Proof of Concept gives us a “test reel” for the film. Used to recruit investors, it becomes a fun foreshadowing of the project. Used to raise money for the production, a Crowdfunding Teaser lasts one minute, 43 seconds. It serves the same purpose as “Proof” and becomes a decent addition. Finally, we get a music video for “Wonderman” by the Rasmus. The video mixes lip-synch performance with some dramatic bits to become a passable piece. The song itself does nothing for me, though, as it sounds like a track from some early 2000s “post-alternative” band. Finland’s first-ever superhero movie, Rendel gets a footnote in history. It merits no other form of attention, though, as it delivers an amateurish, incoherent mess. 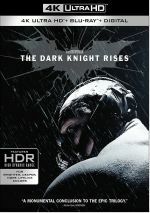 The Blu-ray brings us generally good picture and audio with minor supplements. Unless you feel an uncontrollable urge to support the Finnish film industry, skip this dud.